What Is Coffee Flour and How Can You Use It? Coffee flour is made from the leftover fruit, or "coffee cherries," that cover the beans that are harvested and roasted for our daily drinking pleasure. To make the flour, the leftover coffee cherries are dried and milled into a fine powder. Coffee flour doesn't actually taste like coffee since it's not made from the beans. Instead, it has a slightly fruity flavor, which means it can be incorporated into sweet recipes and is a good way to boost your fiber and mineral intake. One tablespoon of coffee flour contains 6 grams of fiber and provides 14 percent of the potassium, 15 percent of the iron, and 4 percent of the calcium you need every day. It has about 35 calories per serving. In addition, the coffee cherries used to make coffee flour are a good source of plant-based antioxidants. Coffee flour is an excellent source of fiber, and that's its main health benefit. The mineral content is beneficial as well. Coffee flour may is also high in antioxidants that help fight free-radical damage. However, there don't appear to be any research studies or information on any specific health benefits. Is coffee flour high in caffeine? Not really, since most of the caffeine is found in the coffee beans. The amount of caffeine in coffee flour is similar to what you'd find in a serving of dark chocolate. Are there environmental benefits to using coffee flour? Since the coffee cherries are normally disposed of as waste, using them to make coffee flour may be good for the environment, or at least may offer some monetary benefit to the farmers who raise coffee beans. Is coffee flour the same as cascara? No, it isn't. 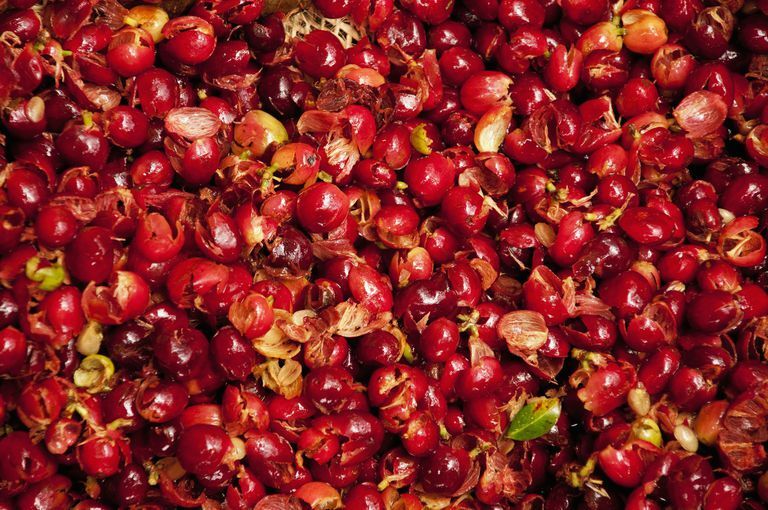 Cascara is a type of tea made with the dried skins of coffee cherries. Cascara is a traditional drink in many countries that produce coffee, such as Yemen and Ethiopia. Can coffee flour be used to replace gluten-containing flour? Since coffee isn't a grain it doesn't contain any gluten. But, its slightly fruity flavor may not make it suitable for use in savory foods. It may work fine in recipes that call for other gluten-free flour. Can coffee flour be made from coffee beans? There isn't any of this type of coffee flour available commercially. However, it is possible. It would have a lot more caffeine, unless it is decaffeinated first. Coffee flour made this way would be similar to ground coffee from a nutritional standpoint. Coffee beans are high in antioxidants known as polyphenols. Here's the hard part—coffee flour isn't easy to find and you probably won't find it in any grocery stores. You may find it online. It's available in powder and fine grinds. The fine grind is better for home use and baking. Coffee flour can be combined with regular wheat or other flours, but start off small—only 10 to 15 percent of the total flour in a recipe should be coffee flour. You may also need to add extra fluid due to the high fiber content. Finally, it works better in recipes that use brown sugar or molasses, because those sweeteners go best with the flavor of the coffee flour. Using coffee flour in addition to regular wheat flour is a unique way to add fiber and antioxidants to your diet. Coffee flour is still quite new and hard to find, but if it grows in popularity, it may show up on your local grocery store shelves. Braindeis University, BraindeisNow. "Coffee Flour Offers a Potentially Healthier Way of Enjoying Java." Coffee Flour. "Hints and Tips for Using Coffee Flour." International Food Information Council Foundation, Food Insight. "Coffee By-Products: Buzzing with Growth."